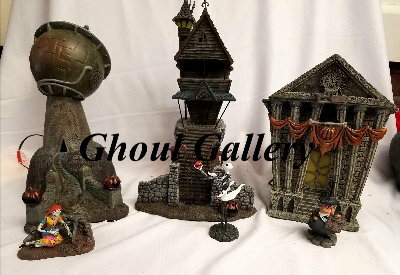 Complete with the ornate iron gate in front, this set of 2 includes a Jack figurine and his house on the hill. Colored interior lights inside Jack's House evoke the visually fascinating world of Nightmare. 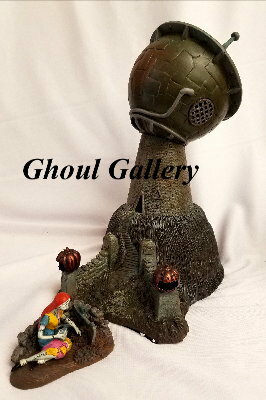 This set of 2 is a great representation of the evil Dr. Finkelstein's unusual looking lab. It is essential to the story of "The Nightmare Before Christmas". 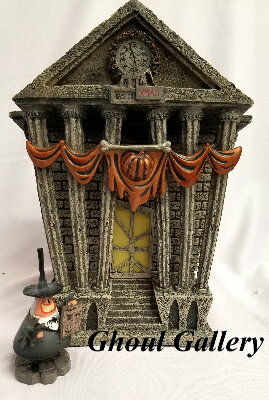 Hand-crafted of stone resin with intricate detail capturing the essence of the delightfully ghoulish stop-motion animated film.